A Word From Down Under! Piazza Armerina is a little spot more or less in the centre of Sicily. It is in other words, with due respect to our Sicilian readers, pretty well the middle of nowhere. But you really should go there, off the beaten track though it is, because in the 4th century the local Roman landowner built himself a house. Unfortunately it was later buried by a landslide and remained thus until the 20th century when an excavation revealed that the villa contained the most extensive set of mosaics anywhere in the world. I should tell you that it takes a fair bit to get me excited about archaeological remains but I defy anyone not to be reduced to dropped jaws and softly exhaled ‘wows’ by the Villa Romana del Casale. 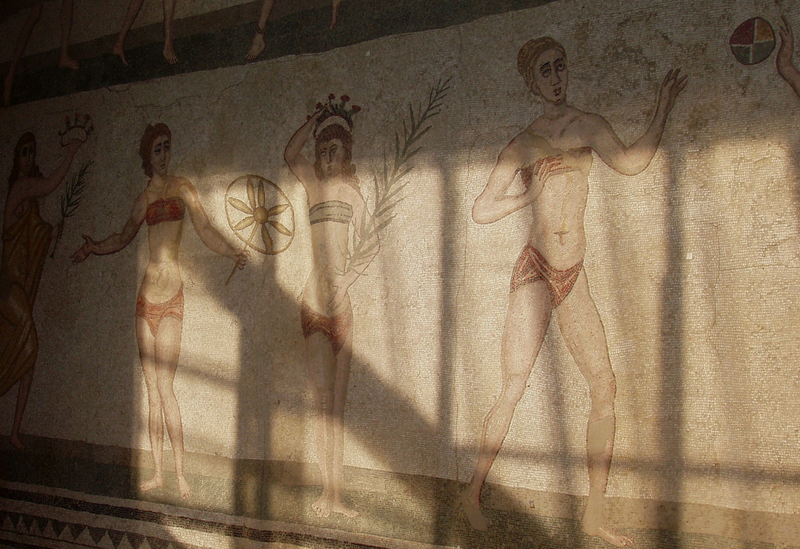 The mosaics are vast and the scenes depicted span many aspects of the life of the times, from hunting to circuses and, although they won’t tell you who invented the bikini (and of course you’ve wondered! ), the images of the ten ‘Bikini Girls’ reveal, so to speak, that such a garment, or lack of it, enlivened the Sicilian summer back in the days when Constantine & Co. were running the show. Mosaics seem to me unique among human creative endeavours because you may readily recognize the technical craft and bathe in the history or beauty displayed, as with other art forms, but after a bit you can’t ignore the feeling of sore knees and a twinge of back ache as your body goes into sympathetic spasms with the poor blighters who toiled away for decades to make the things. And how! In the Villa Romana there are 37 million colored tiles – each unique if examined closely enough, each set in position with loving care, each making its minute contributing to the whole. It’s taken us seventeen centuries to come up with anything to match the complexity of such creations but the astonishing advances in sequencing our genetic code are now laying bare the mosaicism of tumours. The basic idea is simple to grasp: chip out little bits from different regions of a primary tumour and from secondary growths (metastases) that have seeded from the primary. Then throw the full power of DNA sequencing at them. The picture that emerges is also simple to describe. Different regions of a tumour – as well as any secondary growths (formed when cells migrate through the circulation to lodge in other sites around the body, called metastases) – differ from each other. They have different ‘DNA signatures’. In other words, although the whole thing starts from a common ancestor (a starter cell if you like), tumours diverge as they grow. So you can think of them like evolving species – and draw family trees just like the ones that show how long it was since you were a chimp. Dissecting a tumour (left) and its evolutionary tree. 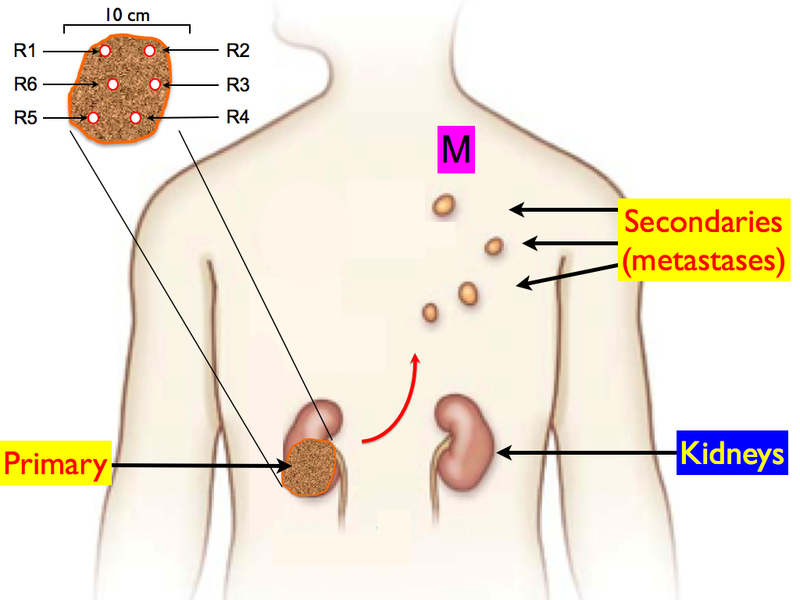 R1-6: regions of a primary tumour; M: a secondary metastasis. The length of the lines between the kinks is proportional to the number of mutations picked up – thousands of them – on that stretch of the journey. Indeed. Things are actually even more complicated than that because the sequence obtained for each bit is an average – it’s the predominant mutation pattern. That’s because even a small piece of tissue, say a millimetre in diameter, contains billions of cells (yes, that’s a thousand million) and, if you looked closely enough, you’d find that each individual cell has quirks in its DNA sequence that are all its own. Each is unique – like the tiles of the Villa Romana. The molecular complexity, even within one tumour, is utterly mind boggling, but there are two good reasons why we should know what is being unearthed and make an effort to come to terms with it. The first is that, although cancers are an aberration, the cellular variety they embody is a wonder to behold and the adaptability – mutability if you like – that they reveal gives us a new vantage point from which to contemplate the breathtaking variety of the natural world. The second is more prosaic: if we’re going to reduce cancers to readily treatable conditions, we must understand the nature of the challenge – what makes a cancer cell tick. However stupefying the picture, that is what we are tackling and the more we know the more rational we can be in dealing with it. Indeed. We’re approaching the point where it would be possible to offer this sort of screen to all new cancer patients and one benefit would be that we’d stop giving people drugs that won’t do any good – because they won’t hit the mutations carried by that individual. Such a programme would make a sizeable hole in the NHS budget but let’s follow the governmental example and not worry about money because we’ve got enough problems with the science. 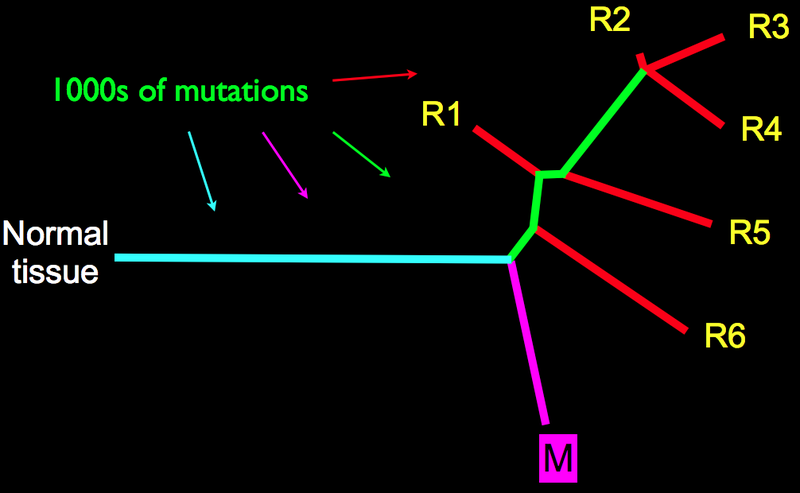 Although the huge number of mutations is daunting, a cheering point is that we can ignore most of them because we know that what’s important is a relatively small set of ‘driver’ mutations – the ones that force the abnormal cell proliferation that is the key feature of cancers – the rest are ‘passengers’, collateral DNA damage if you like, that surf along for the ride. So we aren’t looking for drugs that can reverse all mutational effects – just enough to hit the drivers. We don’t have them. That is, there’s a huge number of drugs that are used against cancers but hardly any of them are ‘specific’ – actually target a molecular defect. Most are like a kind of shotgun that may affect cancer cells but does a lot of collateral damage. Cancers are driven by combinations of driver mutations, of which there are perhaps 20 or so that can come into play, and it’s the specific combinations of those in a given tumour that we need to target. 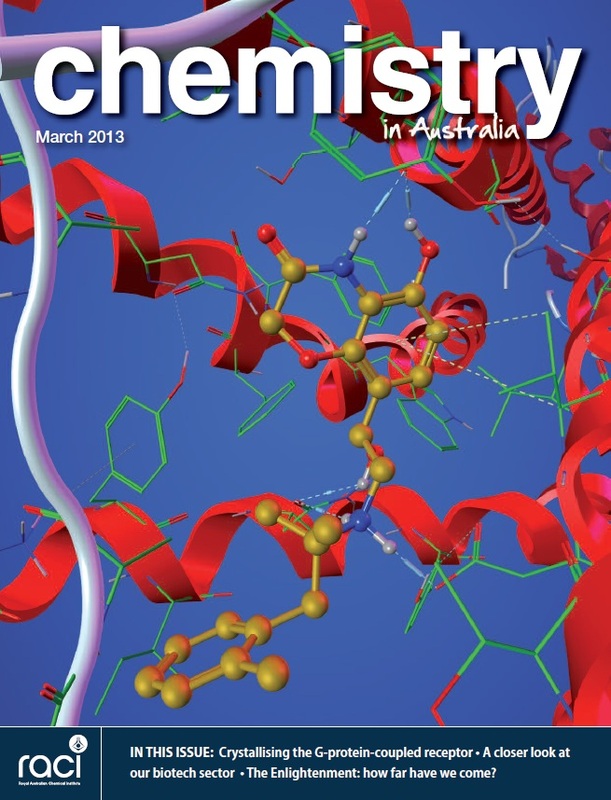 All of which means that there are two huge challenges: (1) to produce new drugs with good specificity that can hit the major drivers and (2) to be able to deploy them in combinations that give us a chance of outwitting the defences of cancer cells – namely mutating to use other drivers and getting rid of drugs by pumping them out. So, the biology is stunning but, despite the outrageous items that occasionally appear in our newspapers, it is difficult to be optimistic on anything other than a very long time-scale. If, back in 330 AD, that Roman gent had said to his builder “So here’s the deal, chief: we’re aiming to decorate this place with about 40 million tiles” there would for sure have followed a good deal of stylus sucking as a prelude to “Can’t be done, Magister. Not with all the slaves in Rome” But it was. It just took a very long time and a lot of effort. Gerlinger, M. et al., (2012). Intratumor Heterogeneity and Branched Evolution Revealed by Multiregion Sequencing. The New England Journal of Medicine 366;10 nejm.org March 8.